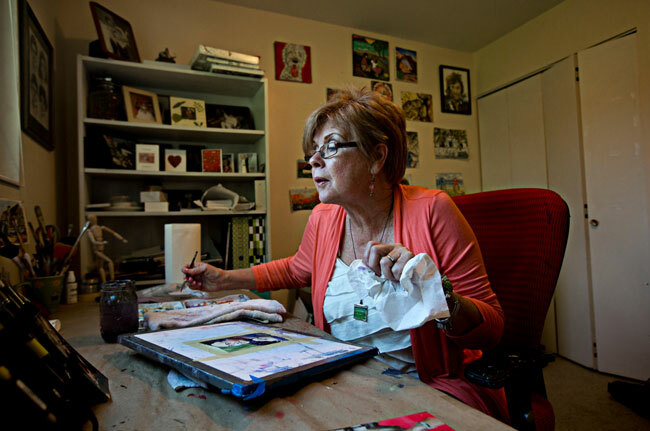 Leslie O. Peterson started painting three years ago at the age of 57. 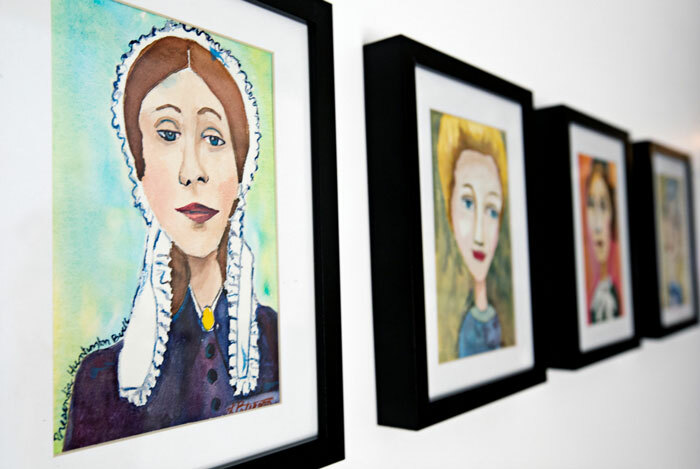 Her recent series of watercolors was profiled in The New York Times: Mormon Leader Joseph Smith’s 34 Wives Inspire Utah Artist. She explains, “At first, I was angry. Why the heck have I not known this? These women have become like ghosts in our history, and we don’t teach or talk about their lives. I just felt the need to get these women out of the closet and let people learn about them and celebrate them.” Peterson lives in Utah. Tell us about how you got started with the project. I have always been interested in polygamy, and had read a little about Joseph Smiths’s polygamy, but because it was not talked about in Church I thought it might be anti-Mormon propaganda. After the Church released the essay about Joseph Smiths’s polygamy in 2014 and admitting he could have had as many as 40 wives and many young girls, I decided to do a little research on my own. Painting these women were my way of processing the new information. I fell in love with these woman and found their stories to be fascinating. What has been the response to The New York Times article? We made a short film (6 minutes) about the project and entered it in the Radio West film competition at the Tower Theater in June of 2015, it won 2 of the 3 awards. A reporter from The New York Times saw it and wrote an article that came out Aug 18, 2015. We had a huge burst of sales and newspapers from around the world published articles about the project. I was surprised by the unexpected attention it received. How did you start painting? My daughter offered to pay for a community education class if I would take her husband as a form of therapy for him—he had suffered a massive stroke while playing rugby. We painted together for a year until they adopted twins and he became a stay at home dad. What are you working on next? 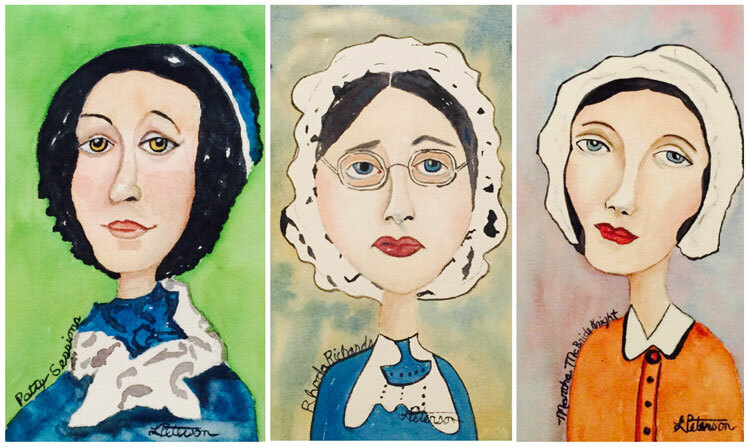 I am now painting LDS women in a new series called Church Ladies. I want to honor and celebrate the diversity of women in the Church today. 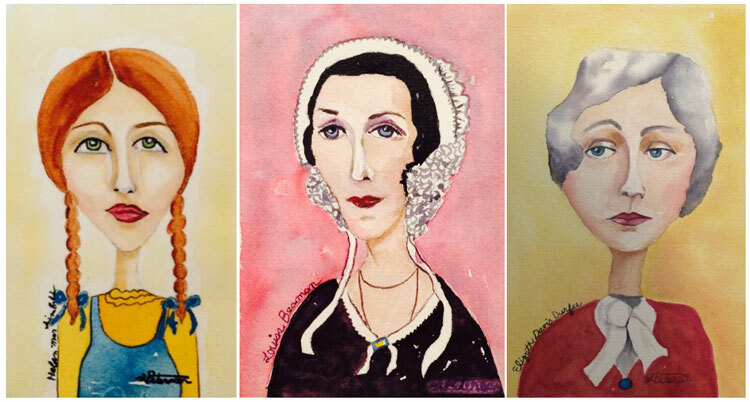 I am also doing small commissions and enjoying a wide range of topics and styles. 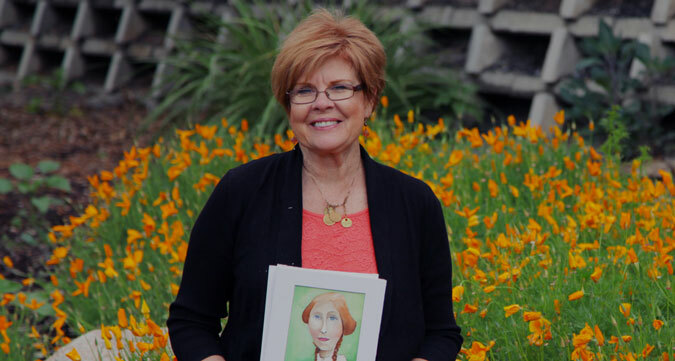 Visit Leslie O. Peterson’s website. Images courtesy Leslie O. Peterson, The New York Times, and the St. George News.